Why Choose Pool Service Fresno? Need a pool serviced quickly? In most circumstances, we are able to give you same day or next day service. Depending on our workload and time of season, we may charge a small fee for expedited service, but it’s still a huge benefit for anyone who needs a quick pool service. We are extremely efficient in our pool maintenance and servicing. We don’t mosey around your house for hours- we get things done as quickly as possible and then leave you with a cleaner, better pool to enjoy more. How long do pool service appointments last? You can expect appointments to last around 30-60 minutes, and we ask that people stay out of the pool for at least 2 hours after to let the chemicals mix in. How often does Pool Service Fresno service your pool? Generally speaking, we offer pool service once per week, although depending on the size of your pool, budget and seasons, we have options to do less frequent pool maintenance programs. What if I don’t service my pool every week? There are quite a few negative consequences of sub optimal maintenance of your pool. 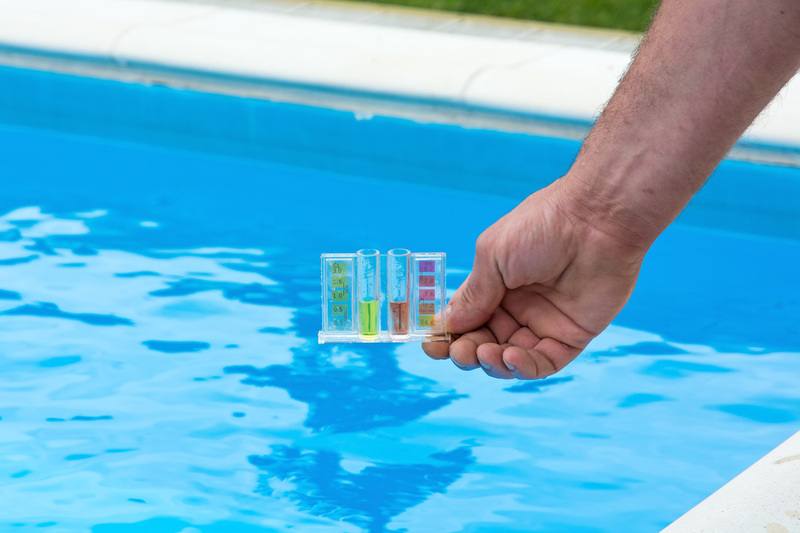 Excessive evaporation is one, and imbalances in the pool chemicals are common issues, so you generally want to have your pool serviced once a week. What does a pool service / maintenance appointment consist of? Check out our other page - Pool Services (click here) - to see exactly what each service consists of. What should I do if I have a broken pump / other equipment? Please call us immediately and describe the problem to us in as much detail as possible. We offer pool repair in Fresno and Clovis. If it’s a leak / pipe break that’s causing a huge spill, you can generally shut the water off to your house which can stop the problem temporarily until we get there and correct the problem. Call 559-869-4754 for your FREE quote today!